Since 1987, we have built structures and relationships that last, thanks to a commitment to exceed expectations at every turn. Gordon Rush founded Rush Construction Company in 1987 with the goal of building beautiful, timeless family homes that were built to last. Our guiding principals of professionalism, integrity, resourcefulness, excellence, teamwork, and innovation have allowed us to grow with the ever-changing market. Today, Rush Construction has expanded into The Rush Companies, with six distinct companies that construct and manage beautiful, quality structures throughout the Pacific Northwest: Development, Capital, Design, Commercial, Residential, and Properties. As Gordon will happily tell you, this company was built on salmon. Gordon got his start at 19 as a commercial salmon fisherman in Bristol Bay, Alaska. After two summers as a deck hand, he decided it was time to captain his own ship. He bought his own boat, The Bandit and put his parents and brother to work as deckhands. After graduating from Western Washington University in the spring of 1985 with a bachelor’s degree in business administration, Gordon spent another summer fishing. Upon his return in the fall, he decided to build a home for himself and his wife, Traci. He started a job for $5 an hour as a framer for a local construction company and learned the ropes. Using the money he earned from his work as a commercial fisherman, Gordon and Traci built their first home in Tacoma’s North End in the winter of 1985. 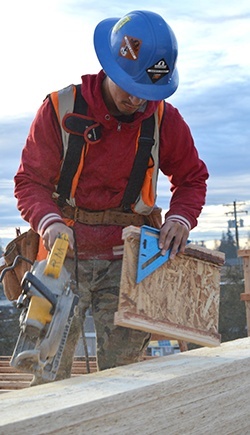 They hired out the specialty trades but mostly did the work themselves; clearing, framing, roofing, painting, decking, and landscaping the Tacoma property by hand. Rush hired its first employee in 1986, and together, they built Rush’s first for-sale speculative home in 1987. From there, we grew. Rush doubled production with two homes in 1988 and four in 1989. Rush hired its first superintendent, Ray Wolanzyk, in 1989. Ray was an integral part of the team then, and still is today, as a Superintendent for our Commercial Construction company. Rush built its first office building in 1991 at The Wollochet Business Park in Gig Harbor. The Business Park was their first commercial development. This building served as the professional office for Rush Construction as the company was previously run out of Gordon and Traci’s basement in Tacoma. Starting in 1992, Rush built two more office buildings in Wollochet Business Park. That same year, Gordon bought Artondale Woods, a 28-lot subdivision. This property was Rush’s first significant residential housing development. Gordon continued to fish in Bristol Bay during the summers and reinvest his earnings into Rush Construction. In 1994, Rush built its first big commercial office building, the 32,000 sq. ft. 5801 Soundview. Before construction was started, an old, but functional wooden building needed to be removed. Rather than demolish it, Rush elected to donate the building to Lighthouse Christian. The local Gig Harbor school relocated the building to their campus and put it to use. Once completed, 5801 Soundview reached full occupancy almost overnight. Its first major tenants included Windermere Real Estate and Jacob Potak Law Offices. Rush made a major entrance into the luxury custom housing market with the purchase of a 30-lot subdivision in Grande Bank. In 1995, Rush built a model home, “The Shattuck,” which won a national Custom Home Award from Builder Magazine. The Shattuck’s success put Rush on the map as the premier custom home developer in the South Sound region. With the momentum gained from Grande Bank, Rush was launched into the luxury custom housing market. In 1996, Gordon decided to quit commercial fishing in order to be closer to home for his two young children and growing business. Around this time, Rush expanded into medical partnership buildings. In these partnerships, Rush would design, permit, construct, and manage the medical buildings, while retaining a percentage of ownership through an equal partnership with local dentists and doctors. Our first joint venture build was formed after Rush built a custom home for a local endodontist and then went on to build the doctor’s new office building as well. Rush’s ability to diversify and capitalize on all aspects of a market led us to grow tremendously. In the early 2000s, Rush supplied a successful bid to build the new 80,000 sq. ft. Kinetics building in Tacoma; Rush’s largest commercial building at the time. This prosperous investment provided Rush with the capital for unprecedented opportunity and growth within the company. Around this time, Rush also purchased Division 10 in Gig Harbor’s Canterwood Community. This lot expanded Canterwood by approximately 150 home sites. In 2003, Rush built Gig Harbor’s Park Plaza as a speculative office building. In April 2004, due to company expansion, The Rush Companies and its 55 employees relocated to its second home office after over 10 years at The Wollochet Business Park. In 2007, Matt Smith rejoined the company. After graduating from Washington State University in 1997, Matt worked as an Alaska Airlines pilot for 7 years. Matt’s first exposure to The Rush Companies was in 1992. While still in high school, Matt worked as a field technician for Rush and also spent several summers as a deckhand on Gordon’s fishing boat in Bristol Bay. When he returned 15 years later, he was amazed by the company’s growth. From around 20 employees, and no commercial division in 1992, Rush had expanded to over 85 employees and around 90 percent of its business was now commercial. Matt brought a lot of focus and energy to Rush and took on key leadership roles and eventually the presidency in 2010. Matt and Gordon are now both partners and owners in The Rush Companies. Matt has put an emphasis on training and mentoring people within the company to manage and lead, helping Rush to become stronger and more cohesive. Under Matt’s leadership, Rush has successfully developed, built and managed its biggest projects to date. In 2011, The Rush Companies moved to its current home office location on Wollochet drive. To suit the changing market, in 2012 Rush Residential made the transition from custom homes to speculative and production houses. Rush also began moving towards the multi-family market in 2009 with the acquisition of the 270-unit Treetops homes in Silverdale. We’ve been expanding ever since. In 2010, we built our first large-scale multi-family unit, The Pacifica, located across from Nordstrom at the Tacoma Mall. In 2015, we completed Proctor Station, a stunning mixed-use project with impressive amenities. As we look to the future, we’re expanding into new markets. Rush Commercial is gaining a presence to the north and the south. In 2013, we completed our first project in Portland, Oregon: an MRI addition for Rebound Orthopedic. 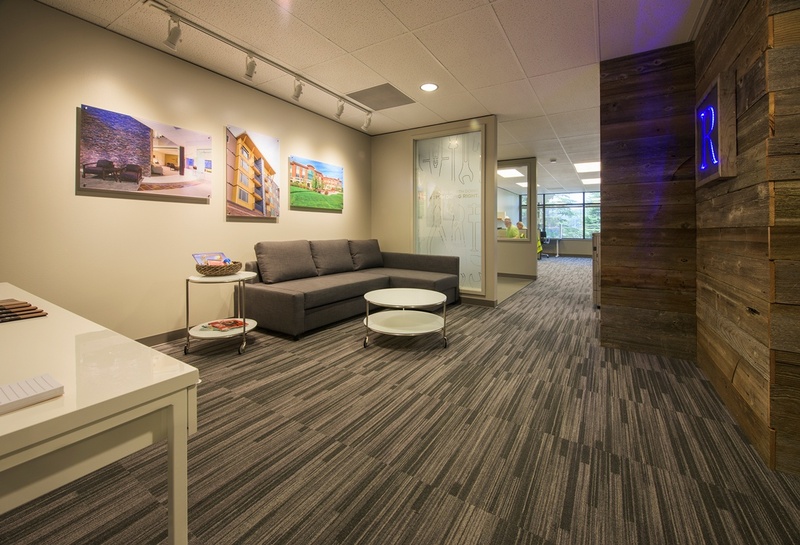 In 2014, Rush Commercial opened their office doors in Seattle to better suit their new clients. 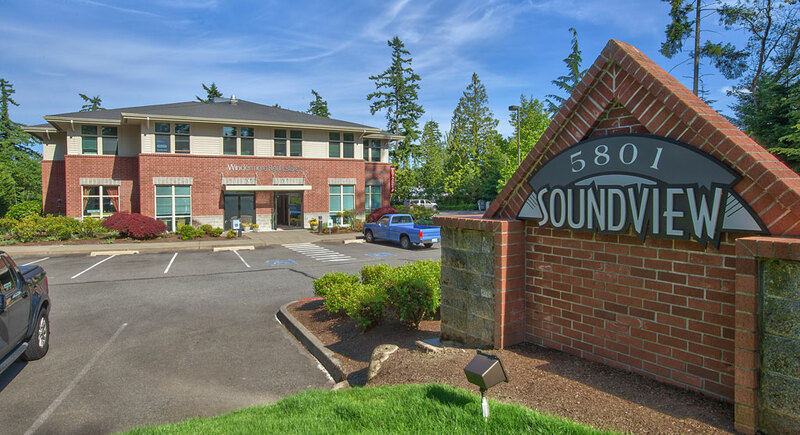 Today we proudly continue work all over the Sound, with more than half of our projects located in the Seattle area. Rush Development and Rush Capital continue to work together to offer the best investment opportunities for in-house projects and third party financing. Rush Residential is continuing to design and invest in communities that align with the lifestyle and housing desires of families in the Puget Sound and surrounding areas. Residential became the third largest Pierce County home-builder in 2015, and was proud to be the only locally headquartered company at the top of the list. They plan to open new communities in Puyallup and Gig Harbor this year. We believe our success is based on our people. We hire the best and are committed to their long-term growth. We do everything as a team. No spectators allowed. We have an unwavering commitment to our clients. Without them we don’t exist. We own and immediately seek solutions to the problems our clients face. We respect our subcontractors and suppliers. They are our partners in success. We think strategically. We challenge the status quo. We use sound judgment. We have the courage to make tough decisions. We take ownership and responsibility for our actions or inactions. We laugh often, don’t take ourselves too seriously and take time to celebrate our success. We stay hungry and humble. Nobody is going to give us anything. We earn it every day.